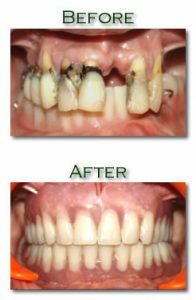 Restoration of the best possible appearance of your smile. There are a lot of factors that contribute to the loss of teeth. While some lose theirs because of injury, disease and wear such as grinding and clenching, others are born without certain teeth. Tooth loss creates both aesthetic and functional inconveniences. At times this may result to undesirable facial changes, detrimental effects on chewing ability and consequently, damages on one’s confidence and self-esteem. Prosthodontics or dental prosthetics is a specialty in dentistry involving the diagnosis, treatment planning, rehabilitation and maintenance of the oral function, health and aesthetics of patients with missing teeth, deficient teeth and/or compromised oral and maxillofacial tissues using biochemical substitutes. 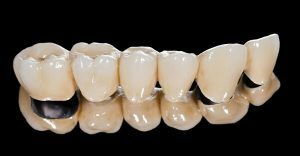 A Prosthodontist is a specialist who is dedicated on replacement and maintenance of the teeth and the restoration of the best possible appearance of a person’s smile.